Yes! I did a card, it took me on and off three days but here it is :) I love this new sea scape stamp, it is a bit bigger but I cut it down with the Nestie die to fit the sketch challenge. This was a neat sketch, one that would do well with different designer papers so I might just have to use it again! 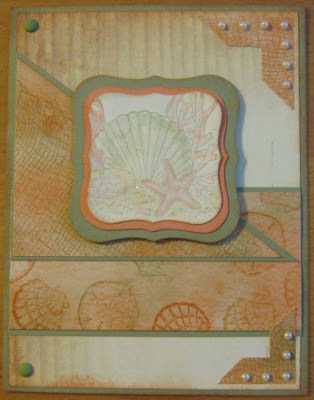 I didn't have the right type of paper for this so I sponged groovy guava and mellow moss on some white card stock and then stamped the net and shells over it. I think it came out pretty nice actually. 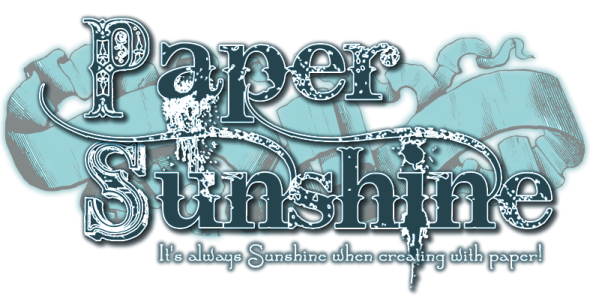 I usually dont make my own "designer paper" LOL! Thanks for checking it out, I hope you like it. My friend is coming over today to stamp so I will be sure to post our work next! It's looks great! Love it! Beautiful vintage feel, Lori! Using the different images on each layer really gives the card nice texture and dimension. You should join Deb's shabby chic tag swap! !